YouTube influencers are a sought-after breed. One word from these connoisseurs of cool, these heralders of hipness, and traffic to a website or store soars, products fly off shelves and brands become blockbusters overnight. But these people can be picky, quirky and hard to connect with — especially for a new brand roaming about the Internet in search of some love and respect. That was the problem Aihui Ong, the founder of a small healthy snack subscription business, Love With Food, was having. She could see that some new business was coming to her site from YouTube, where current customers had made videos showing how much they liked her snack boxes. But how to scale that up? How to find those influencers with really big followings and get them on her side? And that is where the start-up FameBit came in. It is a self-service, online marketplace where brands and YouTube influencers — especially the smaller ones — can connect. Ms. Ong began using the platform about a year ago and now most of her marketing budget is devoted to YouTube videos. It’s been successful for her. Love With Food’s revenue last year was about $5 million, year-over-year sales are up 15 percent and the cost of acquiring a customer is down 30 percent. 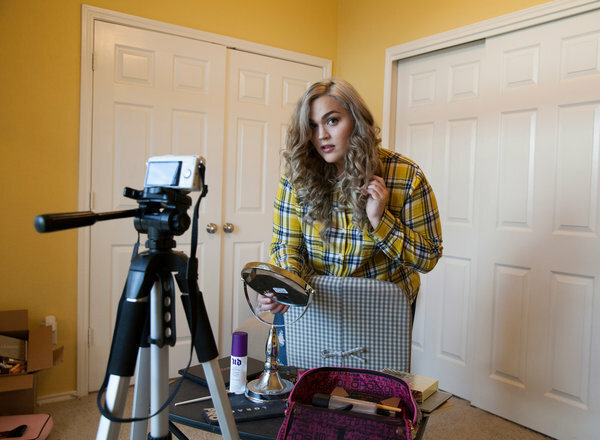 It capitalizes on the rapid growth of influencer marketing, where video creators with a sizable following on YouTube — often considered authorities in a particular niche — feature a brand’s products or services in their videos. An influencer recommendation is akin to that of a friend or family member and are trusted by more than 80 percent of consumers worldwide, according to a 2015 survey by Nielsen. “When you enlist an influencer to market your product, you get an audience that is very well disposed to that influencer’s opinions because they are fans,” said Paul Verna, a media analyst for the research firm eMarketer in New York City. FameBit allows a small business like Love With Food to advertise opportunities for small to midsize influencers to feature its product or service in videos. These influencers are not great YouTube stars but have sizable, loyal followings. They are also entrepreneurs, whose revenue comes from ads and corporate sponsors whose products or services they feature. On FameBit, influencers respond to ads from brands (most are small companies) with a proposal that includes a bid for the work and the reasons they think they are a good fit for it. Each influencer using FameBit has a profile on the platform that include examples of their work, a demographic breakdown of their audience, and that audience’s level of engagement, such the average length of time they watch a video and number of times it is shared. Influencers with at least 5,000 subscribers on either YouTube, Instagram, Vine, Twitter, Tumblr or Facebook can use FameBit. FameBit recently partnered with the ecommerce platform Shopify to enable FameBit’s influencers to open online stores. Likewise, brands using Shopify can search for influencers on FameBit to promote their brand’s products. High-priced influencers with millions of subscribers are generally out of reach for small businesses and are often part of multichannel networks, which function like talent agencies. The networks aggregate YouTube videos around niche topics like beauty, fashion or food and sell ads against it, while providing the YouTube stars they represent with production, promotion and marketing services. In exchange, the networks take a fairly substantial cut of the ad revenue, Mr. Verna said. Although influencer marketing got its start on YouTube, it has expanded in the last year to encompass other video platforms like Facebook, Snapchat, Instagram, Twitter and Periscope. That is because video creators are increasingly seen as the best way to reach young consumers. Most entities that offer to connect YouTube talent with brands function as a kind of middleman, facilitating the connection. FameBit’s marketplace is different, allowing influencers and brands to connect directly with one another, in real time. Brands can sign up free and when they hire an influencer, their payment is held until the content is created, approved and published. FameBit takes a 10 percent fee from both sides of the transaction. Its revenue now is about $1 million a month. The company, which is profitable, raised $1.5 million a year ago. The popularity of influencer marketing has been spurred by the rapidly rising use of ad blockers, especially for mobile devices. Ad blocking grew by nearly 50 percent from June 2014 to June 2015, according to a report from Adobe and PageFair, a company that tracks ad blocking. Influencer marketing is becoming a way around that. “It enables brands to still get their messages across,” said Mr. Verna at eMarketer. Most brands on FameBit pay influencers between $500 and $2,000 to feature a product or service. More than 23,000 influencers – largely video creators – use the platform now, Ms. Kozera said, as do more than 3,500 brands, from smaller start-ups like Dollar Shave Club to much bigger names like Adidas and L’Oreal. Loey Lane, an influencer creating videos about beauty and fashion, has been using FameBit for about a year. Ms. Lane is a plus-size woman and her audience is primarily other plus-size women. 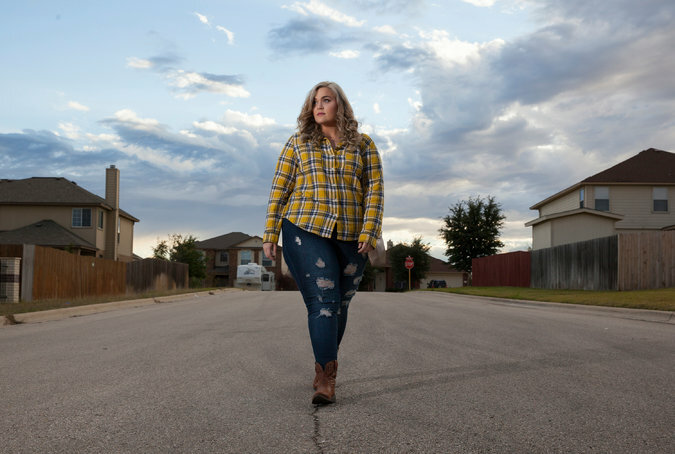 When she began using FameBit, Ms. Lane had 20,000 subscribers; now she has 600,000. When her video channel first started, Ms. Lane earned about 5 percent of her revenue from integrating brands into videos and the rest came from Google ads. She is very careful about the products and brands with which she works. “I only work with those I really like, otherwise it could negatively affect both my credibility and the brand’s.” Ms. Lane always discloses if a video is sponsored by a particular brand. She now earns between four and five figures a month, depending on the time of year and industries she is covering.